Catalina have been the leaders in providing Swimspas for over 40 years. With a wealth of experience and expertise they have the best selection of high quality Swimspas waiting for you. Catalina have perfected the art of combing the healing power of warm water with, massage therapy and exercise which means that Catalina can offer you some of the most advanced and beneficial Swimspas and Swim Trainers on the market. Discover the benefits today! 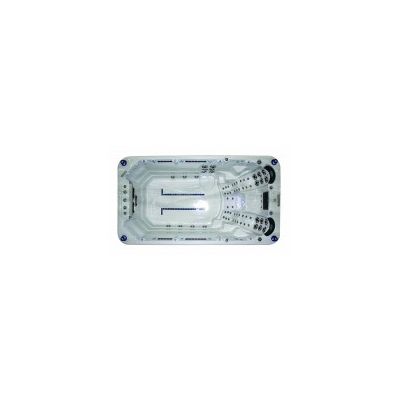 Catalina Swimspas use the latest technology with tried and tested components. The river jet system enables you to swim against the current, perfect for exercising without the strain on your joint and muscles. Other features include beautiful LED lighting, stand up massage stations and comfortable seating.